"Women’s Law Caucus: May She Please the Court" by Michelle Kallen, Flora Darpino LTG et al. 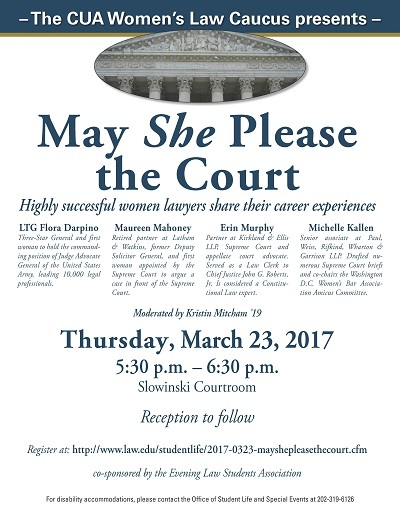 Kallen, Michelle; Darpino, Flora LTG; Mahoney, Maureen; and Murphy, Erin, "Women’s Law Caucus: May She Please the Court" (2017). Other Lectures & Events. 1.